Classic pecan pie gets a sugar free grain-free makeover! I just updated my pecan pie recipe to be better than ever. 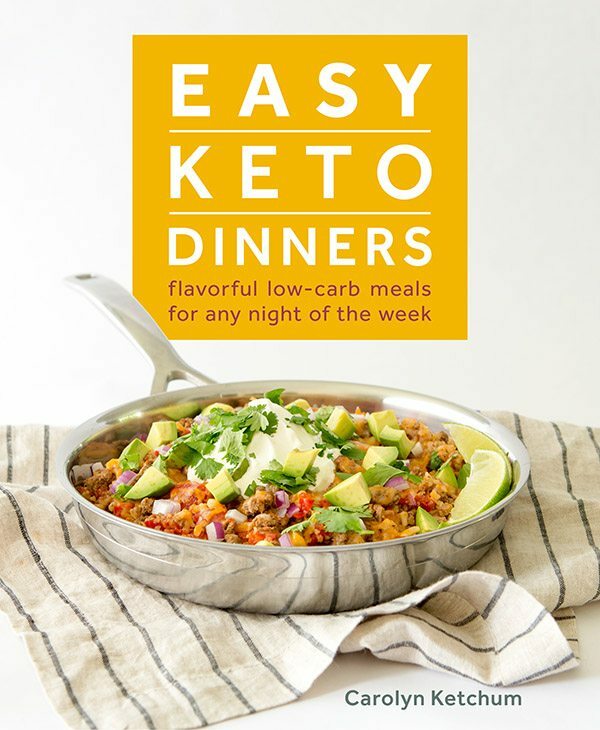 It’s easier to make and has fewer carbs, so it fits perfectly into your keto diet. 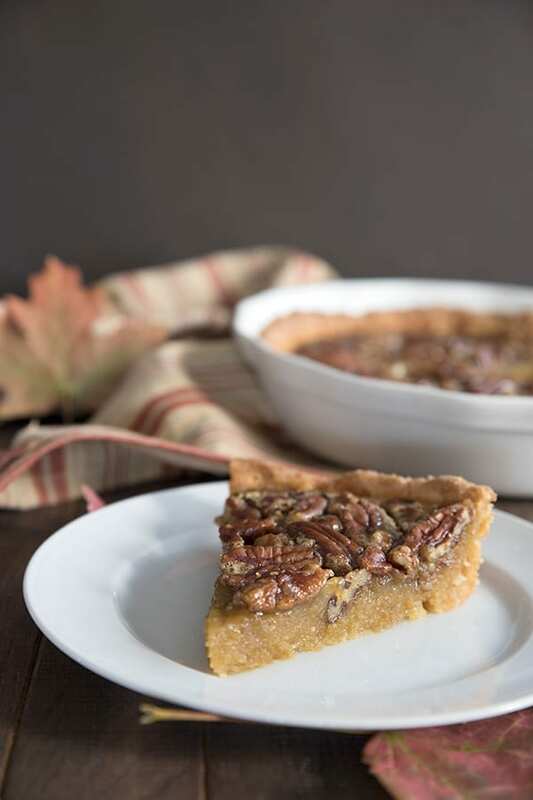 I am so excited to bring you this updated sugar free pecan pie recipe! I’ve been working away at this one for a while because it’s one of my favorite holiday desserts. Words cannot express how much I love pecan pie. Ever since I was a little girl, it was one of my favourite desserts and I would order it any chance I got. We didn’t have it at home very often but if I was out to dinner, my eyes would always scan that dessert menu, searching out the beloved treat, almost before I ordered my main course. If it was on the menu, I would happily tailor the rest of my meal so that I’d have room for some. I loved the richness, the gooey-ness and the buttery-ness. There was good pecan pie and there was bad pecan pie, but I really loved all of it. As a kid, sweet was sweet and even bad pecan pie was better than no pecan pie, in my young brain. 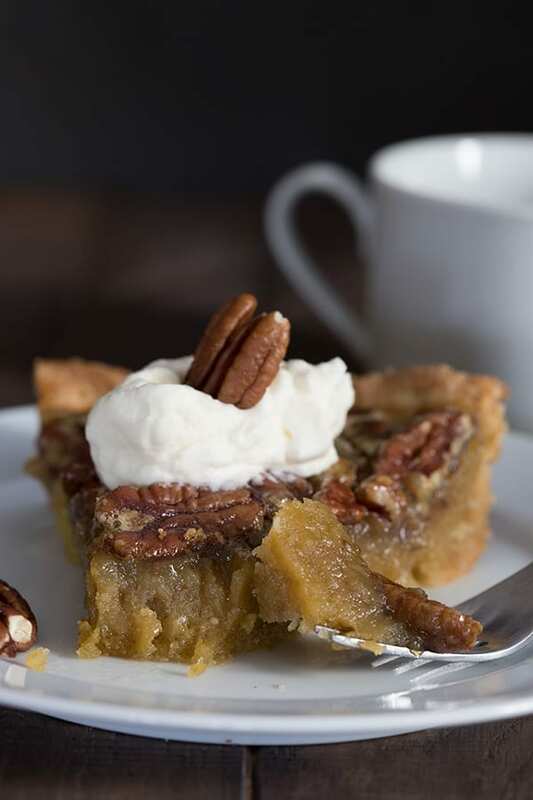 With such a pecan pie aficionado, you know you are in good hands when I develop a low carb pecan pie recipe. What makes good pecan pie? A balanced sweetness. Sweet but not so sweet you want to jump up and brush your teeth after the first bite. A good sturdy pie crust that compliments the flavor without competing with it. My original low carb pecan pie met all of the above requirements but it was quite a bit higher in carbs than I would like, to be honest. At that time, I was doing the best I could with the knowledge and ingredients that I had, but it was definitely a special occasion treat. A holiday indulgence, you might say. But a great deal has changed for me since 2014. 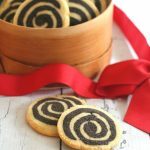 I’ve grown and expanded my skills in keto baking and I’ve explored new and improved keto products. And I decided it was time to take a stab at improving my sugar free version of this classic holiday dessert. I can’t even express how thrilled I am with the results. What did I do differently? This recipe is now entirely sugar free. The original recipe used my old sugar free caramel which had a little bit of coconut sugar in it to give a caramel flavor and color. But now with Swerve Brown, I don’t find the need for it and it reduces the carb count significantly. I’ve significantly simplified the filling. Instead having to make the caramel sauce ahead, you simply melt butter with some Swerve Brown and some Bocha Sweet. If you can’t access these two sweeteners, I’ve provided an option for using all Swerve Granular with a bit of Yacon syrup and that still has a lower carb count than the original. My discovery that using a combination of Swerve and BochaSweet helps keep things softer and gooier has made an amazing difference to some of my dessert recipes. If you can get your hands on some BochaSweet, I definitely recommend it. But I don’t use it just on its own as I find it can actually make things TOO gooey. If there is such a thing! I have also simplified the pie crust. My Almond Flour Press In Pie Crust is so simple and so popular, I only wish I’d come up with it earlier! I can’t believe I spent so much time futzing around with more difficult versions of this. This is the best almond flour pie crust around. The original recipe was maple flavored. Which was very good of course and you can still swap out the vanilla extract for maple extract. But this version is a classic and I decided to go with vanilla this time. The choice is yours! So that’s it, kids. That’s the whole dang story of this delicious low carb pecan pie. Now stop reading, head to your kitchen, and make the darn thing. You can thank me later. With a mouthful of delicious sugar free pecan pie! 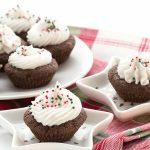 Your low carb holiday dessert prayers have been answered! This sugar-free, grain-free maple pecan pie simply takes the cake. Or the pie. Prepare the pie crust according to the directions and bake at 325F for 10 minutes. Remove and let cool while preparing the filling. In a large saucepan over low heat, melt the butter with the two sweeteners, stirring until the sweeteners have dissolved, about 2 minutes. Remove from heat and whisk in the vanilla extract and salt. Make sure the syrup isn't too hot and then whisk in the eggs. 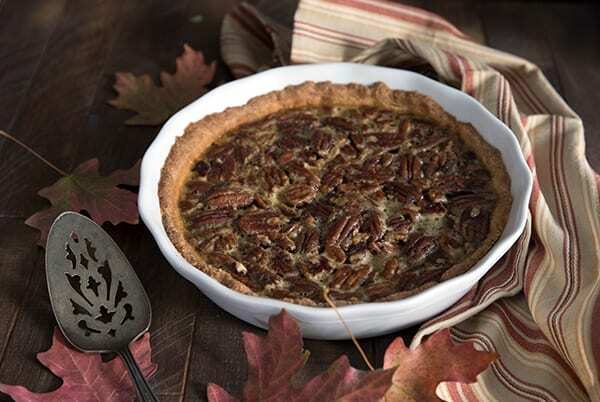 Place the pecans in the cooled crust and pour the filling overtop. Return to the oven and bake 45 to 50 minutes, or until the filling is mostly set but the middle still jiggles slightly when shaken. Note: If the crust is browning too quickly, cover the pie with aluminum foil, shiny side up, about halfway through the baking time. Let cool completely before serving. If you can't find or don't have access to Swerve Brown and Bocha Sweet, you can use 1 cup Swerve Granular plus 2 teaspoons molasses or Yacon syrup. 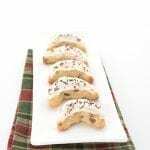 Each serving will have an extra gram of carbs and the filling may recrystallize a bit upon refrigeration. You can also try replacing the Bocha Sweet with regular xylitol. It should give the same gooeyness to the filling. Please be careful if you have dogs because it is highly toxic to canines. O!M!G! I have been checking your blog every day since you mentioned you were going to post a pecan pie recipe. This looks AMAZING!!! Thank you so much! Any idea what the carb count would be if using the roll out crust? About 1 gram more per serving with the roll out crust. Also regarding the rolled out crust, I was looking at your link for preparing it. Would you bake it ahead of time with pie weights, or would you bake it with the filling already in it? Thank you! I really can’t wait to try this! No, fill it and then bake. And still cover it with foil to prevent over-browning. You say to cook the crust first in the recipe instructions! Please read the blog post. You will understand that this is an updated recipe and that is a very old comment and response. I am with you, it is all about the pecan pie for me too. Love that you can SEE how awesome the texture is. YUM! 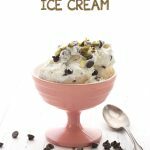 I am dairy and gluten free….is there something other than heavy cream that I can use for the caramel sauce? I am also dairy free. 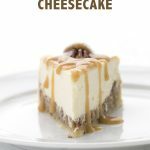 Is there any alternative to using heavy cream for the caramel sauce? Yes, one reader has had great success with full fat coconut milk. This looks so good. I have four sisters and we are planning a getaway weekend to Williamsburg in a few days. Two of us are low carbing, so I thought this would be good to take for us, since we always enjoy yummy sweets when we are together. When you say powdered swerve sweetener, is this something different than what is in the crust? I use Swerve and can tell you that there is a “regular” Swerve (like regular sugar) and “powdered” Swerve (like confectioner’s sugar). You could probably put regular Swerve in a coffee grinder and render it powdered, but someone may know more than me about that. Hi Tammy…yes, there is a confectioner’s version of Swerve, that is so finely ground it’s like dust and it works a little better for the gooeyness in this recipe. If you don’t have that, as another reader suggested, you can try grinding it yourself in a coffee grinder. THANKS SO MUCH! GLAD I ASKED. CAN’T WAIT TO TRY THIS. YUM!! This is so weird, my husband literally just said he would love a low carb pecan pie the night before you posted this! Ever feel like you’re on the Truman Show? Anyway I just finished making the caramel sauce and I think I might really be able to do this! 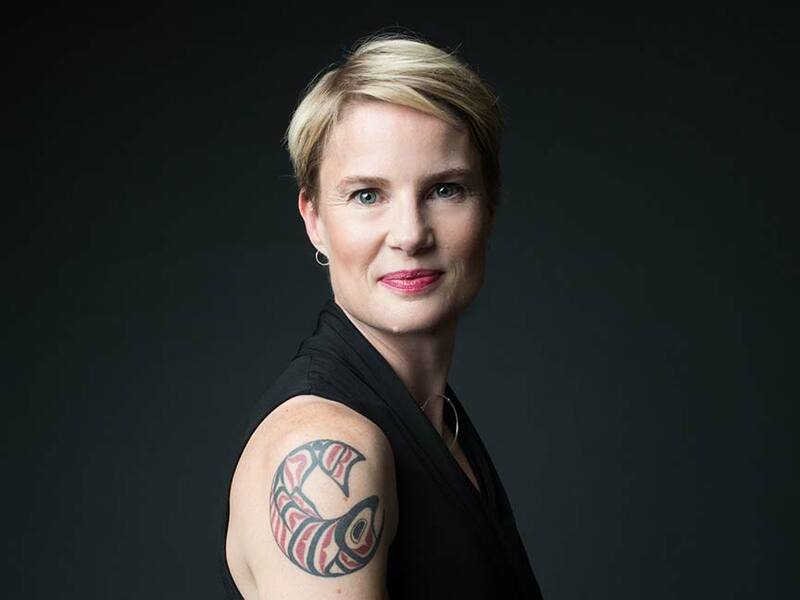 You’re a hero, Carolyn! what did I do wrong? It was still liquid after 30 minutes so I put in for another 30 minutes and now it is solid but the top is light brown and bubbly looking…? I think it got a bit over baked with the extra 30 minutes. The bubbles should subside as it cools though. Also, things tend to firm up as they cool so if it’s still a bit liquid-y when you remove it from the oven, that’s okay. 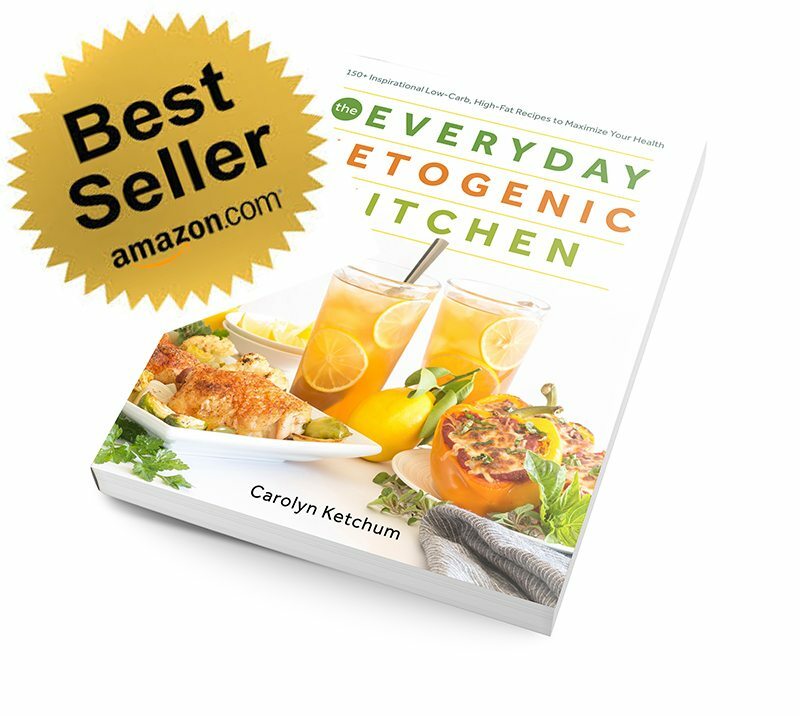 I look forward to “All” of your low carb recipes ! You’re wonderful. I haven’t found one I didnt love ! You’re a very talented master of yor craft ! My boyfriend’s pre-diabetic father is a downhomesouthernfoodONLY kind of man. Every week or so I drop of a breakfast or dessert you’ve created, easing his sweet tooth into a healthier lifestyle. Your recipes have won him over liiiittle by little (which amounts to a LOT). This pie may just be the ticket to convert him entirely. THANK YOU for all you do, it really makes a difference. Anyway, quick question: is there any substitute I can use for the vegetable glycerin? You can leave out the vegetable glycerine altogether, it will just be a little less gooey. This is the first time I’ve heard of vegetable glycerin. What does it do for recipes? So interesting learning about ingredients that are new to me! It inhibits crystallization so it helps keep things like this soft and gooey. And it helps keep ice cream from freezing rock hard. It’s a sugar alcohol (like xylitol and erythritol) and people say it doesn’t affect blood glucose levels. Personally, I count half the carbs in it, just in case. Is there something I can substitute for arrowroot starch? How about Coconut flour? You can do coconut flour but it won’t hold together quite as well. but for the press-in crust, it’s a bit less of an issue than the roll out crust. Can’t wait to try it! 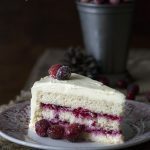 I have family coming Wednesday and today (Saturday) is the only day I can make it, will it still be good in 4 days or can I freeze this recipe? I am not sure about freezing it, I didn’t try it myself. But I think it would be worth trying. I really can’t say for sure. I wouldn’t leave it for longer than 2 to 3. Kristie, did you try it? How was it after 4 days? I have to make mine well in advance of Thanksgiving. I tried it but it wasn’t good so I wouldn’t recommend freezing it. I double checked the recipe and believe I did everything right so it must have been the freezing. good to know, thank you for the feedback! I made this this weekend and it was incredible. Honestly. I had to stop my boyfriend from inhaling the caramel sauce while it was cooling on the stove. He couldn’t believe it was sugar free and low carb. I’ll be bringing this to my family’s Thanksgiving, along with your sausage stuffing. I doubt they’ll know what their eating is gf/lc. Thank you Carolyn for all you do. Your site inspires me and your recipes are wonderful. How well does this freeze after you bake it? Want to try to make as much as possible ahead of time for thanksgiving. Thanks! Also thinking of making the chocolate pecan pie bars too—do those freeze well??? I didn’t freeze mine so I really can’t say for sure. I think they would be okay. Someone else said they froze it and the result was not good. This filling is a type of custard and cooked custards don’t freeze well. One more question, since you are using swerve, can you taste the coolness in this recipe? Some recipes you can and some you can’t so I was wondering how this recipe is. Because if there is coolness, I was considering using a mix of xylitol and lakanto since neither of those have any coolness but they’re more expensive so I would rather use swerve if there isn’t any coolness in this one. I want to give it to non-low-carbers and want to fool them but if there is coolness, they may not like it. Thanks. I do not get any cooling sensation from Swerve for any recipe so I might not be the best judge. Some people do get it and some don’t…I am one of the ones that don’t. But you may want to try your mix of sweeteners, just in case. I made this recipe this past weekend, and brought it to a dinner party where only 2 of us were low carbing. The pie was a huge hit with everybody, whether low carbing or not, and I was afraid that people were going to eat the pie tin! Seriously, this is a great dessert that you can serve all your guests and know that they will enjoy it. I will be making it again to bring to the family Thanksgiving celebration. Glad it was such a hit! Ok then. Recipe is awesome. One thing is missing. What is that you ask? I’m glad you asked 🙂 – what is the white topping? And where is the recipe for that? I want to make it exactly as the picture, so I can say I made it exactly like the picture, even though it probably won’t LOOK exactly like the picture ::sigh:: Thank you. Ah, that’s just lightly sweetened whipped cream. Simple to make: if you’re serving up the whole pie, whip 1 cup whipping cream with 2 or 3 tbsp powdered Swerve and 1/2 tsp vanilla extract until stiff peaks form. Dollop over slices of pie! Awesome! Will copy that onto my copy of the recipe. Thank you, thank you, thank you. Happy Thanksgiving. Big hugs to you and yours. Are you sure you don’t prebake the crust? I found another pecan pie by Maria Emmerich where she pre-baked the crust. Yes, I am quite sure. Pre-baking the crust for a pecan pie would mean the edges got too brown because it takes so long to bake. Tried this recipe today, it looks and smells great can’t wait to taste it. Thanks for the recipe. could you freeze the crust for longer than 1 hr? Thinking about making the crust a few days early. What a good substitute for arrowroot powder? I have xantham gum, Glucomannan & gaur gum would any of those work? I noticed in an earlier comment that coconut flour wouldn’t make it as thick. Since this is a press in crust, I think you can just do more almond flour in place of the arrowroot. Hmmm. I followed all directions. In there almost an hour and it is still like liquid. 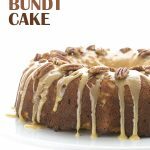 I made this for Thanksgiving dessert and it was seriously delicious! 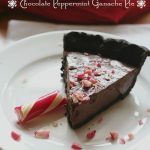 EVERYtime my husband and/or I took a bite we exclaimed, “Oh My God, this IS so good!” By the end of the weekend and the end of the pie, we’d said it so many times it had become a joke– true one tho! I’m thinking of making it in a square pan, chopping the pecans and cutting it into squares for a holiday cookie/bar treat. Love your idea for pecan squares! After refrigerating the pie, will the sugars recrystallize and make it gritty? I know the caramel sauce after refrigeration gets gritty and needs to be rewarmed for it to become a smooth texture again so I was wondering how this pie is after it gets cold. Is there a good substitute for the vegetable glycerin? You can skip it but your final product may recrystallize. I made this yesterday for Thanksgiving, but made a low carb shortbread pie crust (it was yummy!) instead. I had a problem with the filling not solidifying, even with quite a bit of extra time in the oven. ( Even after cooling, it was still runny.) Do you think if I cut down on the vegetable glycerine, it might get a bit more solid? Taste wise, it was PERFECT! I’d like to make it again for Christmas! What sweetener were you using? Hmmm, then I really don’t know why it wouldn’t thicken properly. Taht’s the first time someone’s had this issue, I think. Okay, thanks for trying to help me figure it out! It really is a yummy recipe, so I’ll definitely make it again! Can I use a substitute for the Swerve sweeter? 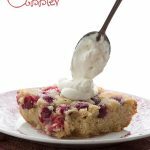 Maybe Truvia baking blend? If so, would it be the same measurements? The Trivia baking blend has sugar in it, I believe. I really don’t know the conversion but I believe you can google that and find out. Thank you. I will stick to swerve, I was just having trouble finding it at the local store. Hi, I was looking at your pecan pie recipe to see if I could use it to modify an old traditional colloquial pie we love here in Kentucky called “Transparent Pie”. It’s a simple custard pie mostly butter, eggs and sugar but it calls for white corn syrup 2Tbs for gooeyness. What do you suggest I use for Karo syrup (white corn syrup)? Would the vegetable glycerin work? Thanks and just love your recipes! Vegetable glycerin or possibly the fiber syrups from Sukrin? The fiber syrups work wonderfully well! You can also get one from Amazon that’s called Fiber Yum. I tried a pecan pie with Sukrin Gold syrup and the pie was scarfed down by my husband, who is not a low carber. I got everything together to make this only to discover I don’t actually own a pie plate. If I use an 8×8 square glass pan I know it makes the crust thicker than what would be in a pie plate. 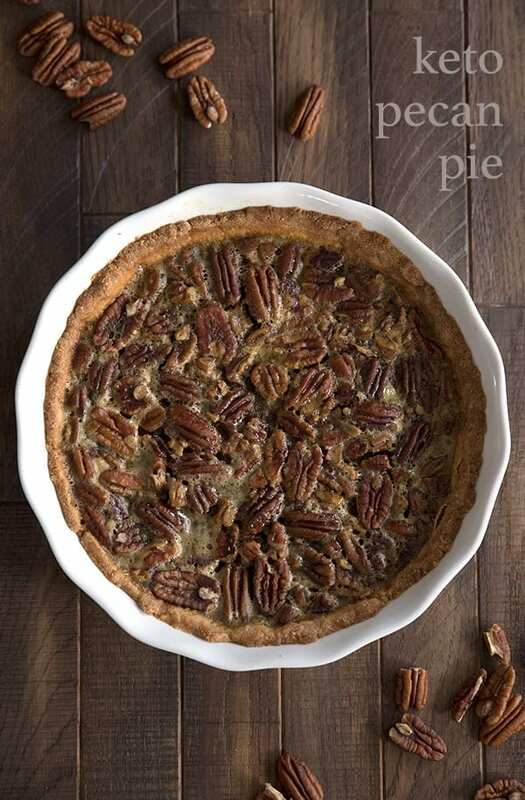 Would I need to cook the crust slightly before I add the pecans and filling, or just make the pie as normal and cook the whole thing slightly longer? I would probably bake it 10 minutes first. If you put everything in on top and bake, it may not crisp up enough. Maybe pre-bake 10 minutes? Thank you, I will try this. It is in the freezer now. I honestly thought I just bought a glass pie plate, but maybe I just looked at one in Walmart and never bought it, lol. I wanted to test this pie out before Thanksgiving. The caramel sauce may not make it to the pie. Oh my word, that is the best low carb caramel sauce I have ever made! Thanks, Christie! Hope they turn out that way. I wokld like to try this recipe since I love so many of your others! Do you think it wokld taste weird if we exchanged the butter for some other oil? Daughter is now sf, gf, and df. I know it wouldn’t be “buttery” but would it be a bust? I think it might work but I can’t say for sure! I’m getting ready to make this for thNksgiving this year. Full disclosure, I sometimes have a hard time sticking to recipes completely without some tweets. The filling looks thinner than traditional pecan pie, is that to keep it at the proper carb count? I thought about doubling the filling recipe to make it thicker OR using the pancake syrup from the THM cookbook and adding another egg. Thoughts? It’s not thinner, I don’t think. I like my pecan pie gooey! This recipe looks awesome! Totally making it for thanksgiving this year. Quick question: The filling ingredients say to use two eggs, but in step 5 of the instructions the word “egg” is singular. I’m assuming that’s just a typo, and the ingredients list is correct? Thanks for the great recipe! I already made the caramel sauce, it’s ridiculously good. You’d never know it’s low carb. My pie turned seriously lighter than when I put it in..what could have happened? It still taset good though. Maybe I cooked it too long..
Is it just the top that turned lighter? That’s happened to me, like some of the egg rising up before. But the center is usually still darker. I love pecan pie and I’m going to try to make this for Christmas but i don’t have any xantham gum: is it possible to substitute with chia seeds? how would you do it? You can skip it but don’t sub with chia. And it may harden a little more upon cooling. Made this as a test-run yesterday in advance of making it for Thanksgiving. Turned out awesome! Very sweet. I used a 9.5 inch pie plate, rather than the 9 inch it called for. That resulted in not having quite enough crust to fill the pie plate, and also the filling level was a bit lower than the crust level. Still worked though! May try to find a smaller plate in advance of Thanksgiving, or just use a little more crust/filling ingredients. Thanks for the recipe. LOL – whenever I see a pie recipe that says serves 10 I sit here trying to figure out how to divide a pie into 10 even pieces. Do you use a tape measurer? At our house it is either 8 or twelve (or 6) Even then the pieces are not the same size. Anyway, I am NOT being critical, just thought it was funny. I just eyeball it. I base the serving sizes on how much my family can eat in one sitting. Can this be made ahead of time and freeze? Good question. I think so, but I haven’t tried it myself. I made this pie the other day and it was delicious. However, if there was one thing that I would try to improve the next time I make this pie it is the texture of the pecans. The pecans ended up a bit soft or slightly soggy. I used Fisher Pecan Halves. I am wondering if it would be a good idea to first roast the pecans a bit, if that might help with my texture problem. What do you think? Roasting them certainly brings out flavour…I am not entirely convinced it will do anything for consistency but it’s worth a shot. Where is the Carmel sauce recipe? I have looked and looked and tried evening working under the sun in your search engine. If you haven’t tried this pie yet, you’ve got to do it asap! So delicious! I made the original for Thanksgiving back in 2014 or 2015, and my treat-gobblers and I loved it, but this looks like it would be more traditional, so I’m excited to try it. Like you, I loved pecan pie. I use Sukrin Gold for a brown sugar substitute. I just can’t handle Swerve’s cooling properties, and assume the brown has it, too. Why I don’t get it with Sukrin Gold is beyond me, maybe the added stevia. Anyway, do you think this would work well, using the Sukrin Gold? I know you’ve used it in the past, in other recipes. Yes, Sukrin gold is fine but it’s lighter in colour and brown sugar flavor so you might consider adding a teaspoon of molasses (would only add about 5g carbs to the entire recipe!). Excellent! I do add a bit of molasses to many recipes to ramp up a richer brown sugar flavor. This looks awesome! I was wondering if I could use the brown swerve and regular granular Erythritol for this receipe? Or would that not give you the correct consistency? Thank you! I made notes in the recipe itself. You can do this but it may recrystallize a little more. My mom and Grandmary would love this! They love pecan ANYTHING. Plus it’s a healthier version which is always a win in our book! Pecan pie is one of my favorites, and I’d love to be able to eat it without guilt. 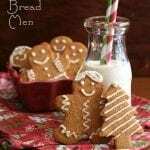 I’ll have to give this recipe a try over the holidays! 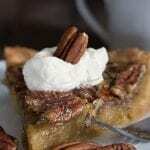 So nice to find a sugar free pecan pie recipe! Looks delicious! It’s hard to believe this is keto! This pecan pie looks amazing! This looks amazing. 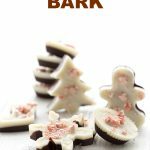 I am new to low carb/Keto, and am looking for some new holiday favorites. Thank you! 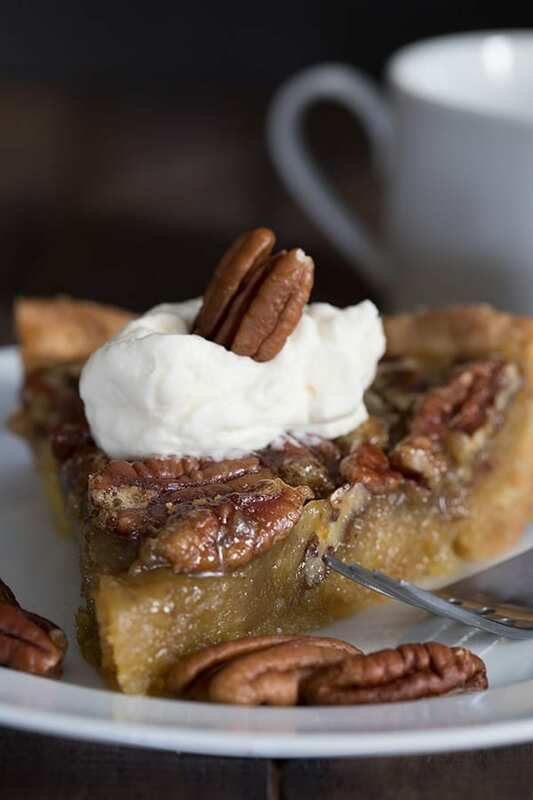 Fairhope, Alabama is ground zero for pecan pie. I love it, but sometimes worry about all the sugar. This recipe gives me hope for a great piece of pecan pie that fits my diet. I am really sorry if I missed it, but I know you said what to use if you didn’t have Brown Swerve, but I have that…I just don’t have the Bocha Sweet. Can I use Brown Swerve and Serve Granular (or powdered as I have that too). I have to stop buying new ingredients when I have bags of these other ingredients unopened in my cupboard. Besides, I am reading many GI issues with the Bocha Sweet and I really don’t mind the cooling effect of Swerve. Just use all Swerve Brown but be ready for it to recrystallize a little upon cooling. I have had no GI issues with Bocha Sweet. Thank you for the updates! I’m chomping at the bit to make this! I so appreciate your work! I will try the mix of Swerve and xylitol as my husband gets the cooling effect and I don’t have BochaSweet. A little molasses and the vegetable glycerin and I’m sure it will be delicious! Ok, I must have misread something along the discussions. Why did I think vegetable glycerine was part of it? It was.. in the original recipe. But now I think it’s entirely unnecessary! Hello- I just made this and it was delicious! I do have one question, my filling came out a little crumbly not solid gelatin like, do you know what may be the cause of this? Could you put the filling in ramikins or the silicon muffin shells and do without the crust? maybe butter the bottom, edges? 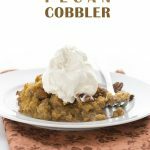 this recipe seems to be the best one I have seen for the low carb pecan pies. I am trying to do without the crust, even low carb ones. You can and you can eat it like custard with a spoon, but it won’t come out in one piece. Hi, looking forward to making this. I clicked on the Botha sweet link to purchase and it’s not available. What could I use in place? Thank you! Please read the recipe notes, it tells you everything. I ordered mine from their website, Amazon never has it in stock. I’m t2 diabetic and from the south so I have to make this but Amazon says ther are out of Boca Sweet is there a substitue I can use? Did you use Bocha Sweet sugar replacement or Bocha Sweet Collagen peptides? Bocha sweet is completely sold out…what is a good replacement? Hi Lisa… please read the recipe notes carefully, I gave substitutes. Thanks! Hello! So I can’t find Bochasweet anywhere. 🙁 If I got the regular xylitol would how much should I use? Thankfully we have Brown Swerve in our local stores. Can I replace the bocca sweet with Simon fiber syrup? I don’t know what that is? It might be fine but I find fiber syrups tend to spike blood sugar. I’m so excited to try this recipe! I have the Swerve Brown, but the BochaSweet is backordered. Any suggestions for how to address this ? Use only Swerve Brown? I do have Yacon too, if that helps! Thanks for the quick reply! I guess I got confused as to what to do if you only have one of the sweeteners (the notes seem to imply what to do if you don’t have either of them) and I didn’t want to make it too sweet / weird consistency. I can wing it with what I do have and hope for the best! 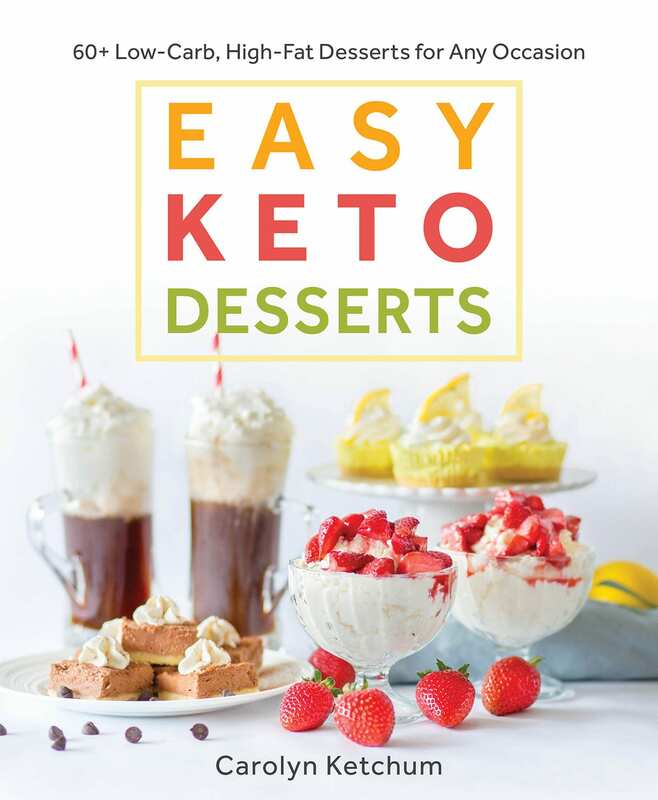 And thanks for all your yummy recipes My cousin started Keto last week and I referred her to your site – it’s one of my faves! Okay sorry. Don’t do all Swerve Brown, it will recrystallize too much. Do have of that and half xylitol. I don’t use xylitol because I have dogs, and Boca sweet is on backorder. I have swerve in granulated, powder and brown. I have monk fruit. I have liquid stevia but could get powder. Do you have a suggestion to supplement the Boca sweet? Last night I saw a way to take 1c swerve granular and ½ tsp powder stevia to measure 1:1 cup sugar replacement. Thank you!! You can use all Swerve but it will recrystallize more. That’s the issue. It will still be good but any erythritol based sweetener will do this, whether or not you add 1/2 tsp stevia to it. I cannot get the Boca Sweet but I can get the swerve brown. What can I substitute for the boca sweet? Thanks! Can’t wait to make this for Thanksgiving! yes you can but as I explain the post… all Swerve means that the filling my recrystallize a bit. I read through the comments and people kept mentioning vegetable glycerin but I don’t see it in the recipe. Do I need to add it? Nope. I changed the recipe… better and lower carb! I have swerve brown but not BochaSweet sweet, so do I use swerve granular or confectioners to replace the 1/2 cup of BochaSweetSweet? Swerve granular. It will just likely recrystallize a bit more. I’m making this for Thanksgiving. Do you pack the Swerve Brown sugar as you would do for regular brown sugar? Yes. You almost can’t avoid it since it has a higher moisture content and feels like brown sugar. The scoop and level method doesn’t really work. Just made the updated version and, because I didn’t have Swerve Brown, I subbed Sukrin Gold instead – worked beautifully and your recipe is easy, quick, and hands down, the best! Thank you for the update and for always introducing us to new products! I have some vegetable glycerin left from making the old version. Since the Bocha Sweet isn’t available, would adding some vegetable glycerin to the filling prevent recrystallization and make it gooier? It might help a little, yes. I made this as a trial run for Thanksgiving (pecan is a must-have pie!) using the substitutions recommended and mine was not gooey at all. Gooey is what makes pecan pie wonderful. Do you have any suggestions? I don’t want to forego making this as my dessert if gooiness is still a possibility. I see mention of vegetable glycerine. If that’s the ticket how much would I add? Any suggestions are welcome. I can’t imagine Thanksgiving without pecan pie but I’m determined to do all keto. Thanks! What substitutions did you use? If it was all erythritol based sweeteners then that’s the problem right there. Try xylitol to replace the BochaSweet. 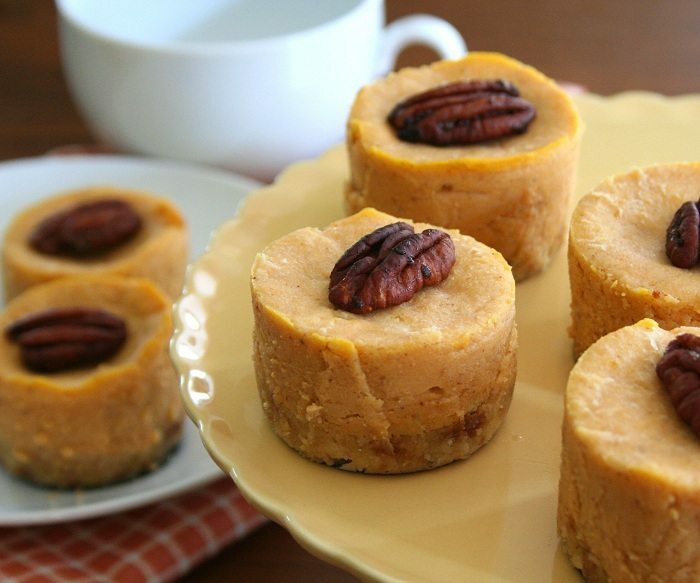 I plan on making this for Thanksgiving but could not get the BocaSweet so I am going to use the Xylitol instead. I just wanted to make sure that I am still using the same amount of Xylitol that was indicated for the BocaSweet. I thought in the comments somewhere it mentioned doing more of the Swerve Brown and little less of the Xylitol. Any help is appreciated. 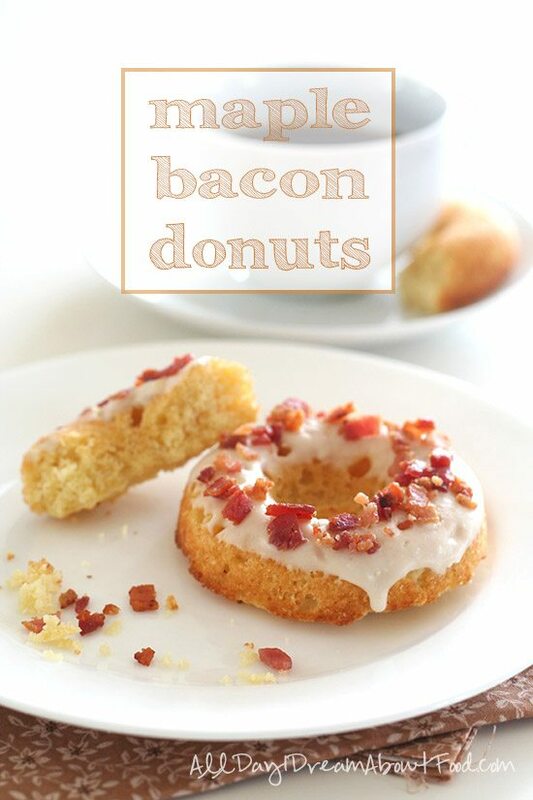 I can’t wait to make and try this!! (plus I love how east the pie crust recipe is). One last question, the calorie/macros you show for the pie, does that include the crust or do I need to add that in separately? thank you! Yes, use exactly the same amount. If you can’t find Bocha Sweet can you use 1/2 of granular swerve? If you want it to be gooey, the only way to replace the Bocha Sweet is with xylitol or allulose. I am excited to try this new version of a favorite. However I would also like the old recipe as well (my daughter is very particular and can balk when I change things up). Unfortunately I don’t think I saved it anywhere. Do you still have a link to the earlier version? Grease a 9-inch glass or ceramic pie pan well. In a large bowl, combine almond flour, arrowroot starch, sweetener, coconut flour and salt. Stir in egg and melted butter until dough begins to cling together. Press into bottom and up sides of prepared pie dish, crimping the edges. Prick the bottom a few times with a fork, then freeze one hour. In a large bowl, whisk together the caramel sauce, maple extract, powdered sweetener, vegetable glycerin, egg and melted butter. Remove pie crust from freezer and spread with pecan halves. Pour filling over and place on a baking sheet. Tent the whole pie with foil (to keep crust edges from burning) and bake about 40 to 45 minutes, until center is just a tiny bit jiggly. Bake a little less if you want a really gooey pie. Thank you so much!! Making this right now. Ordered Bocha Sweet but it didnt arrive in time and we are traveling for the holiday and can’t get our normal products. So glad to have the old recipe to fall back on. Thank you! I am unable to get the Swerve Brown or Bocha Sweet. What do you recommend as alternatives? I have brown coconut sugar and swerve granulated and powder. You can try those although coconut sure really isn’t low carb. I’d go with mostly Swerve and maybe 2 tbsp max of the coconut sugar. 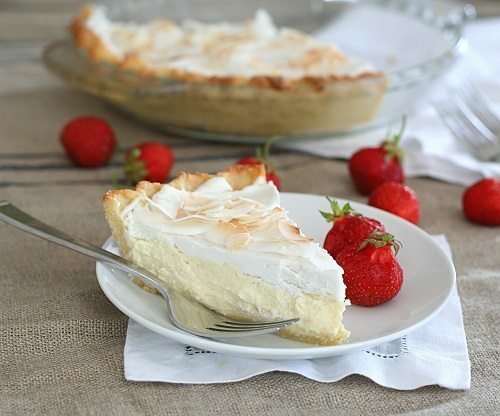 Making this for Thursday, but was wondering if any one has tried to make this dairy free using butter flavored coconut oil for the crust and gooey sauce. Thank you. I really can’t tell you, I haven’t tried it. Hope it works out! I just made this tonight using the brown swerve and the molasses and while the taste was great the filling had almost a fluffy eggy texture. Waa it because I didnt have the bocha? Sounds like your eggs maybe curdled a bit in the cooking process. Love your recipes and this one looks wonderful also. I can’t get Botha Sweet so could I substitute Yacon syrup for it? Will it still crystallized? Should I adjust the Swerve amt. since Yacon is a syrup? Thank you Carolyn..you’re the BEST! If you can only do the Swerve, do it plus about 1 tbsp of Yacon. It may re-crystallize a bit more but should still be good. This recipe looks amazing. We use the Sukrin and Sukrin Gold sweeteners. Will these substitute out okay for the swerve and the other one? The Sukrin gold is fine for the swerve brown. If you want a gooey consistency, though, you really need Bocha Sweet, xylitol, or allulose. Made this for thanksgiving! Was amazing!!! Than you!!! No modifications. My pie turned out gorgeous. However, the filling was gritty. I used Lakanto golden and a mix of erithritol, xylitol, and stevia. Would it have come out better if I had powdered them? Otherwise, it was so great to have a rich pecan pie for dessert with some no sugar added vanilla ice cream! Thank you! No need to powder them, mine weren’t powdered. I wonder if it was the Lakanto? Maybe that was it. Loving it anyway! Thank you! I made this today (a day after thanksgiving mind you) because I’d not had any desserts yesterday and it almost killed me. And I just wanted to thank you for a great recipe. I love pecan pie and this was just as good as any high sugar version! I added a tsp of bourbon 🙂 as I always do, but didn’t change anything else. This is a winner recipe. And the crust was so easy! It was perfect for this pie. Thanks again. Nice choice on the bourbon! Can I use swerve brown and regular or powdered swereve in place of the boca sweet and would it be the same mesurments?? Thank you, can’t wait to try this. Yes but it won’t be as gooey and may recrystallize a bit more. I am making this or, but using Lekanto Monkfruit Erythritol Golden instead of swerve and Bocha Sweet. I’ve never heard of this sweetener. I also used Maple and caramel extracts plus a little Lekanto SF Maple syrup. I’m so praying this will be good like I’m looking for. The two I made for Christmas were not very good. It will taste good but it won’t be as gooey. Hi Carolyn! If I wanted to make this into bars, should I use this crust or go with your classic shortbread crust? Or, would you recommend I just use your Chocolate Pecan Bar recipe without chocolate? I want some gooey-ness, which is why I am leaning toward modifying this one into bars. Thanks. I’d do the chocolate pecan pie bars… they are designed for maximum gooiness.